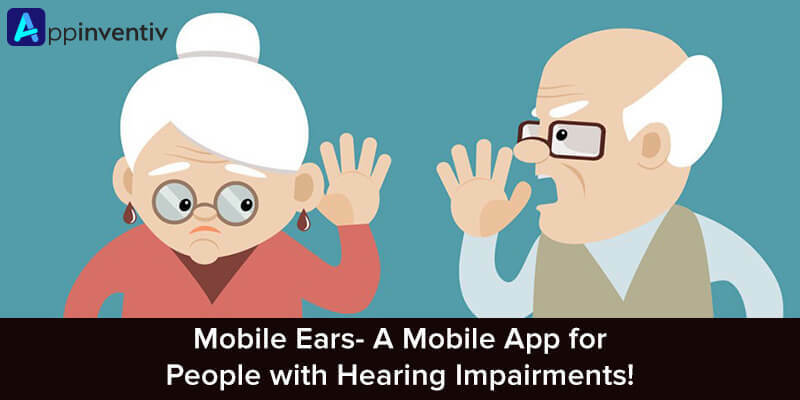 Mobile Ears- A Mobile App for People with Hearing Impairments! Hearing Loss is an increasingly growing problem these days. There was a time when it was associated with seniors only, but now people of all ages are vulnerable to this health issue. This is due to many reasons like heavy traffic noise, loud music in bars, nightclubs, events, etc. In fact, the habit of listening music at high volume via earphones while traveling is also contributing to the hearing impairments. According to the statistics, over one billion young people throughout the world are at a risk of hearing loss, mainly because of unsafe listening practices. Many people do not admit that they are suffering from hearing loss while others are concerned with the embarrassment of wearing hearing aids in the public. However, there are many who are unable to afford the hearing aids and so, continue to suffer. 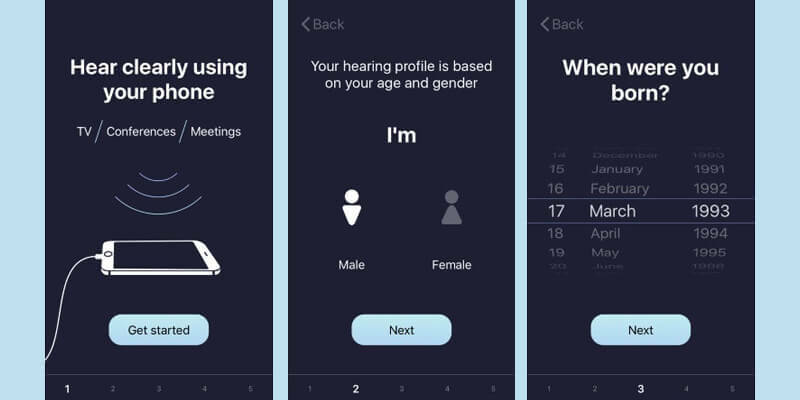 To serve the people with a better and affordable solution, the Norwegian company Listen AS has developed a hearing aid app, called Mobile Ears. Mobile Ears is a free and easy-to-use app that is helpful to people of all ages and suitable for both indoor and outdoor sound environments. It is a simple plug and play mobile application which does not demand a lengthy and annoying setup. All you have to do is to open the app, enter your age and gender and here it goes! The app has presets configured based on the statistics. That means you need not manually do the setting to use the app. This mobile app uses the smartphone’s microphone to capture voices from the surroundings, amplify it and deliver enhanced listening experience to the users. The app algorithms are designed to filter out unnecessary background noise without affecting speech quality. In other words, with a unique speech amplification technology, this app helps the users to hear things clearly even when at a crowded place. Mobile Ears does not require the Internet connection, which makes it more suitable to use anytime, anywhere. Also, one can configure the app to use the earphone’s mic for better clarity. This is beneficial in meetings, conferences, group conversations as well as while watching TV. Till now, this hearing aid app is accessible only for iOS users. But soon, it will be available to Android users as well. Again, the Mobile Ears app does not support Bluetooth right now due to quality and delayed amplification issues. However, the support is expected in the upcoming years. Mobile Apps are highly in use these days. People are preferring mobile applications over all other tools and equipment since they are easy to use, are affordable and accessible anytime, anywhere. Mobile app development has entered all the industries and sectors, including Healthcare. And the very best example of the existence of mobile app in the healthcare industry is the above hearing impairments app.